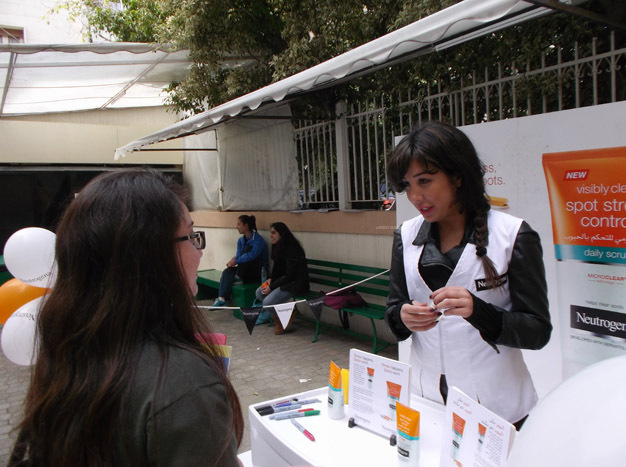 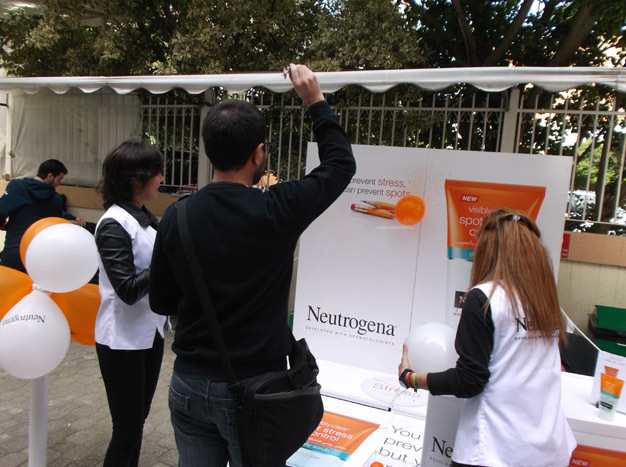 Neutrogena | Activations & Events | Brands in Action | Direct Marketing S.A. 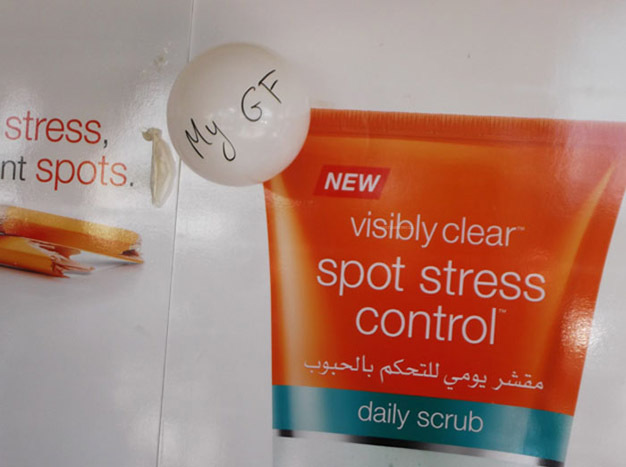 Stress leads to spots, and spots lead to stress, which leads to more spots. 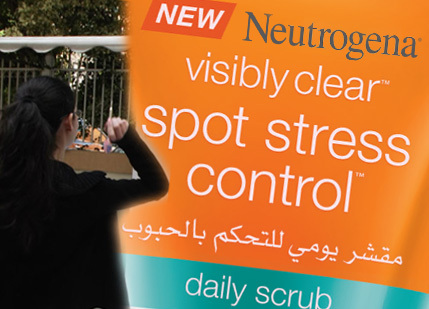 But with Neutrogena Spot Stress Control, you can now treat and prevent spots. 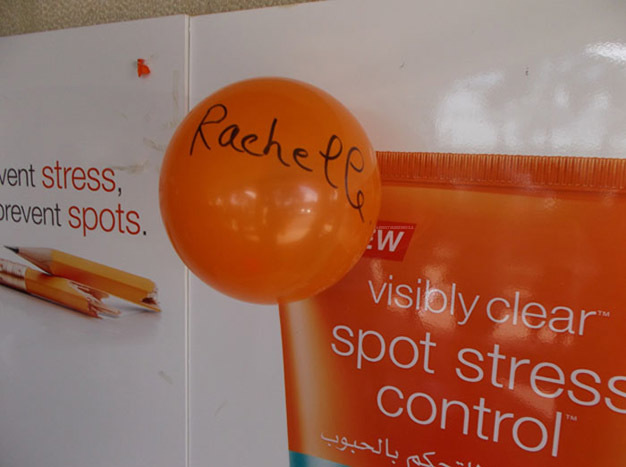 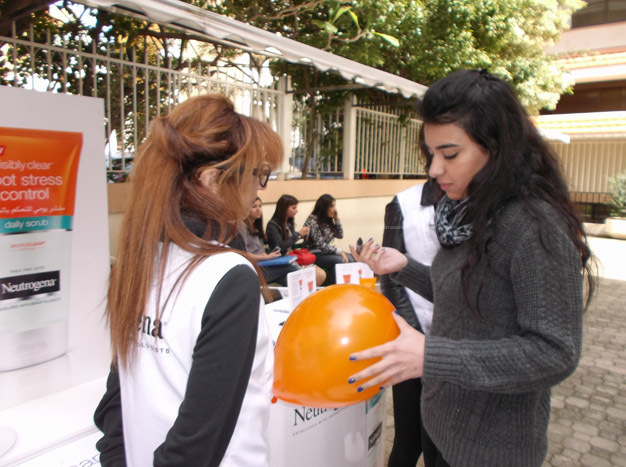 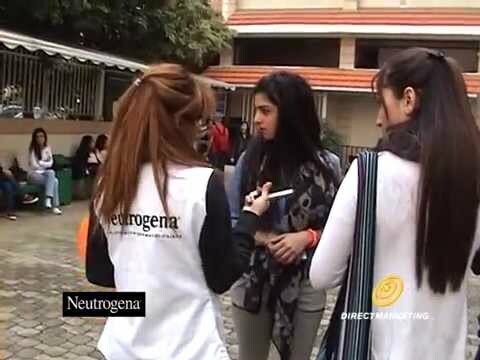 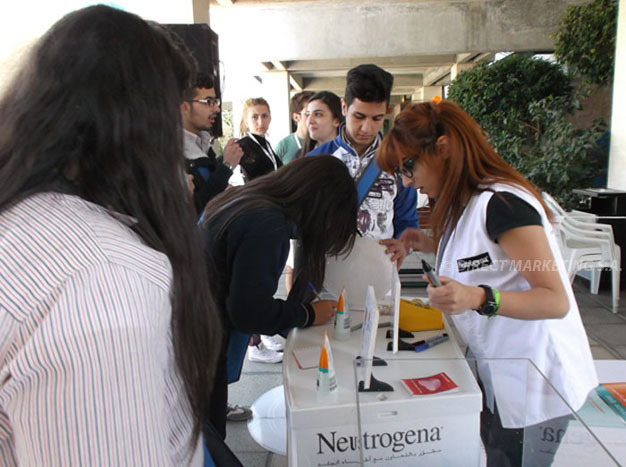 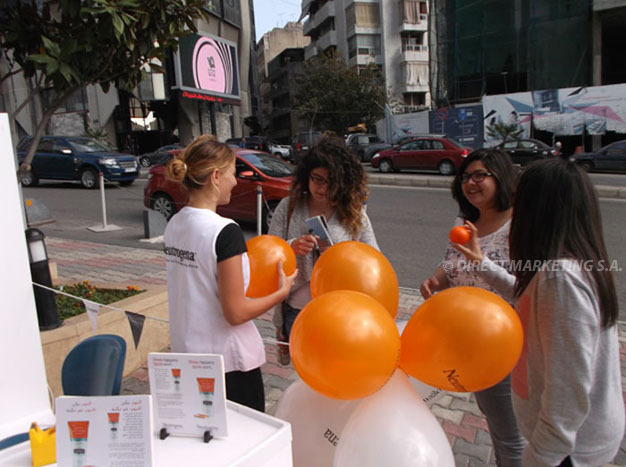 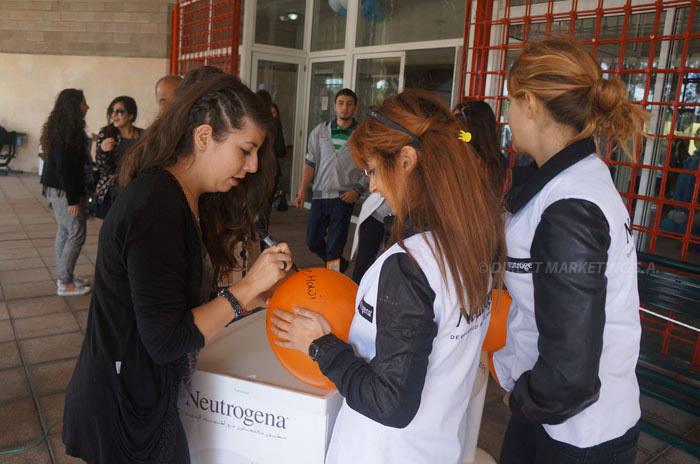 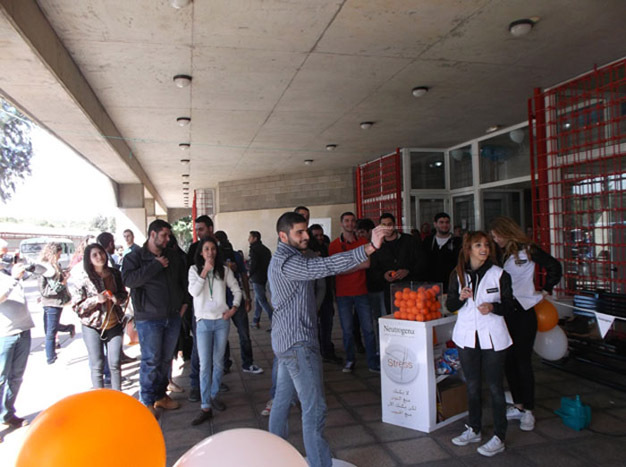 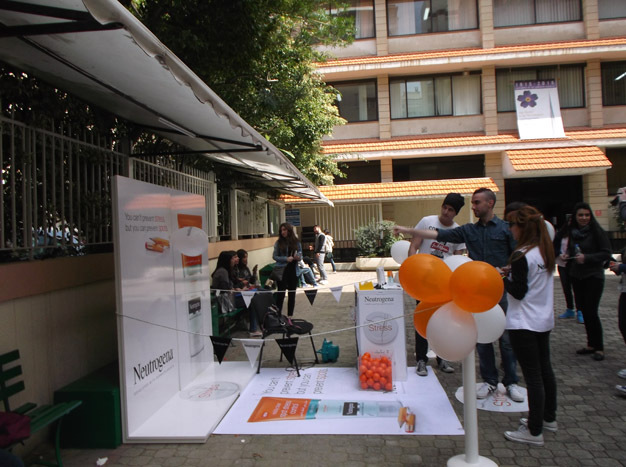 To introduce Neutrogena Visibly Clear Spot Stress Control Daily Scrub to the Lebanese market, we developed an activation that reaches the core target of the product: university students who tend to be anxious about the increasing demands of university life. 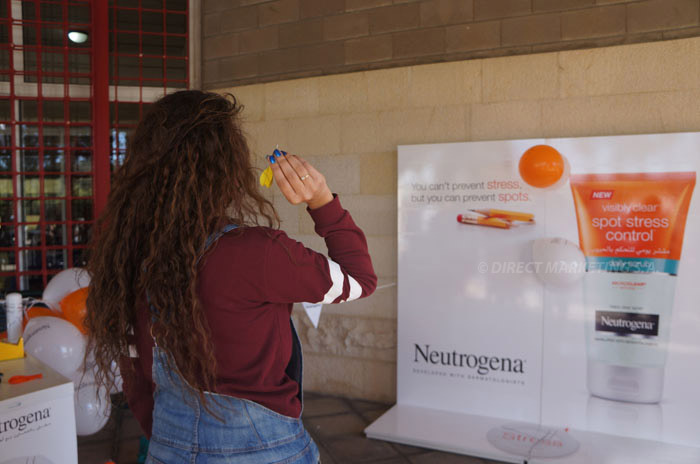 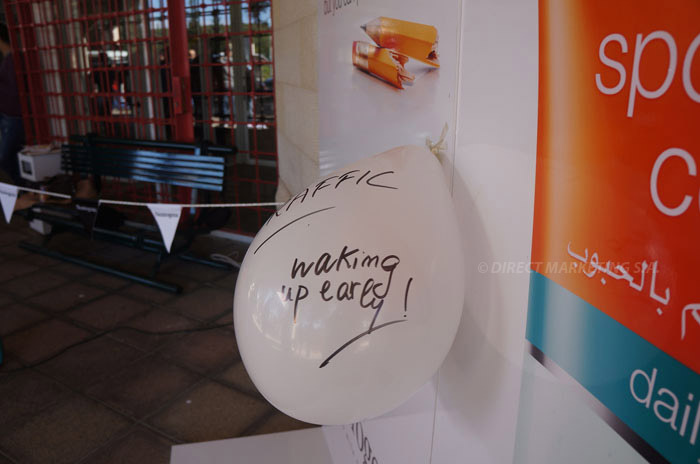 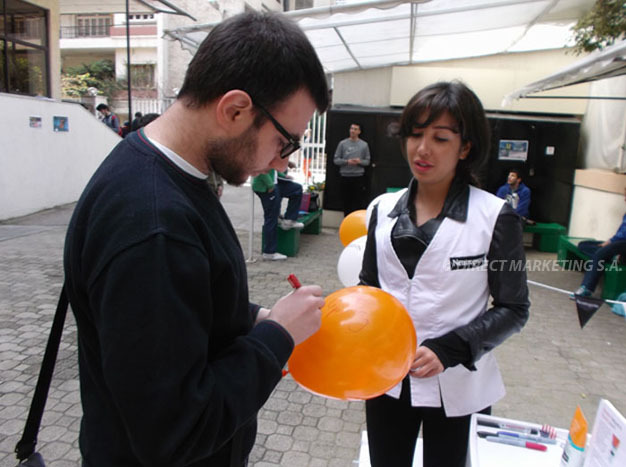 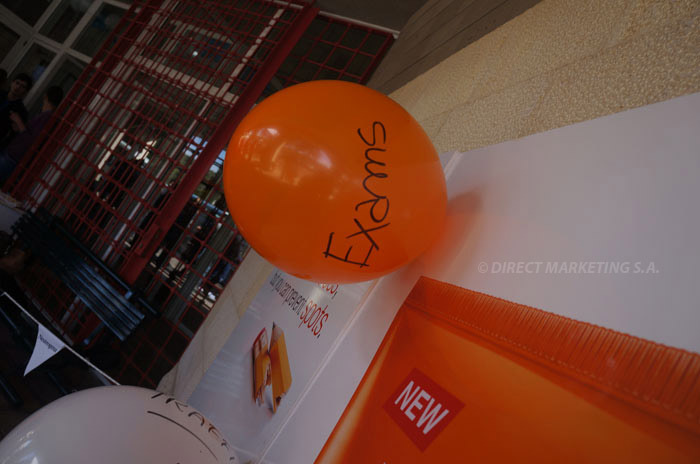 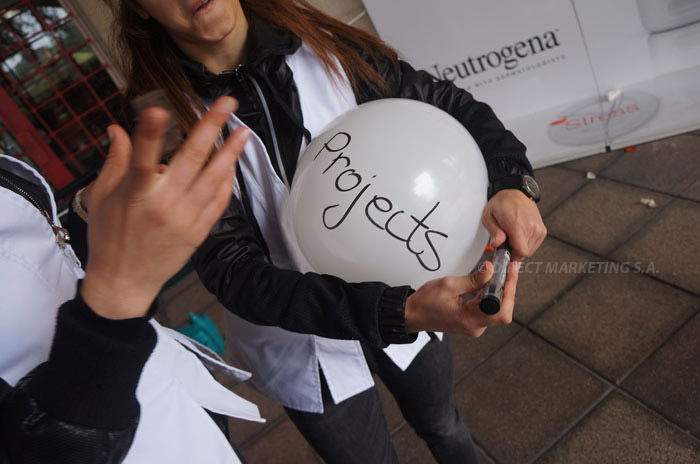 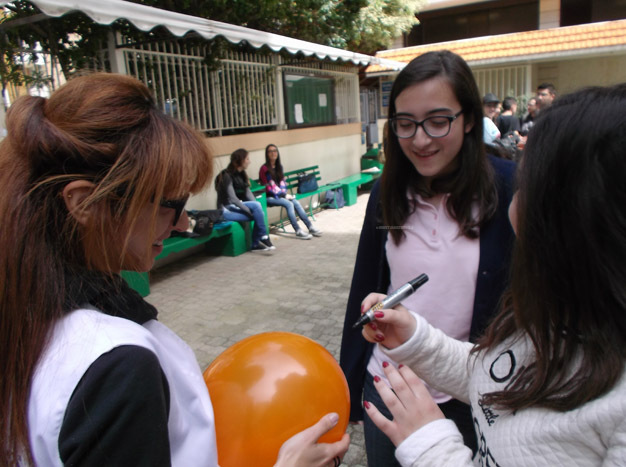 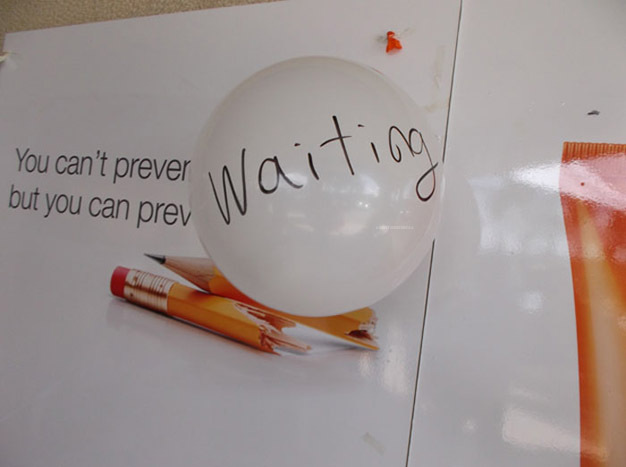 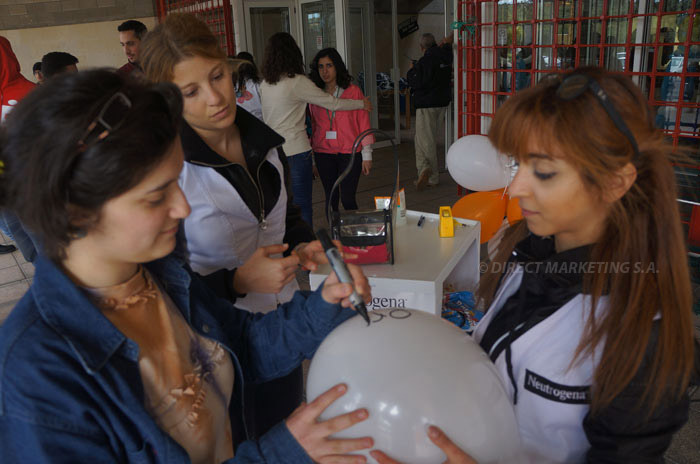 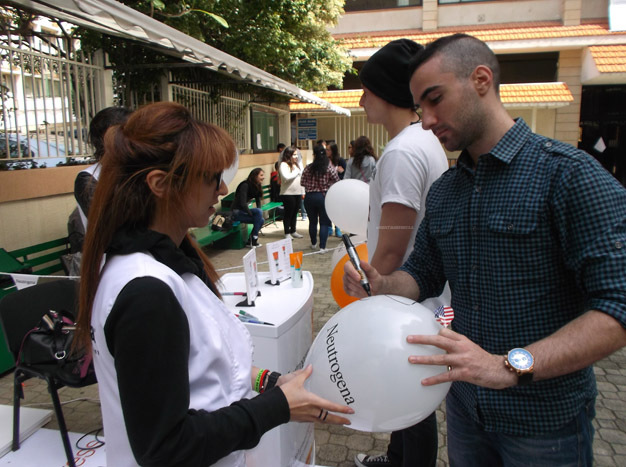 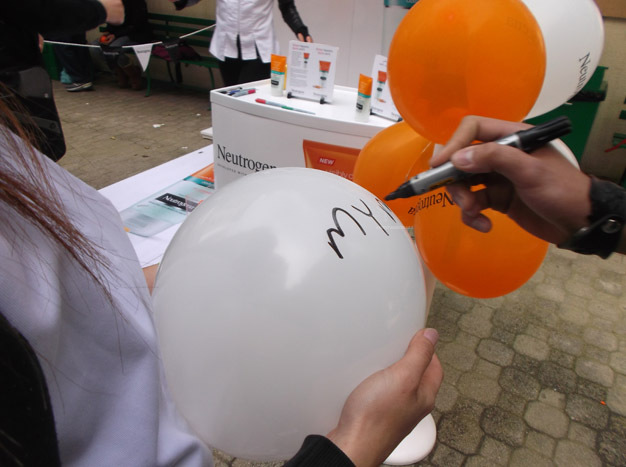 Playing on the benefits of the product, we created a De-Stress campaign, and invited students to write down their stressors on a balloon, and try to pop it with a dart for a chance to win instant gifts from Neutrogena. 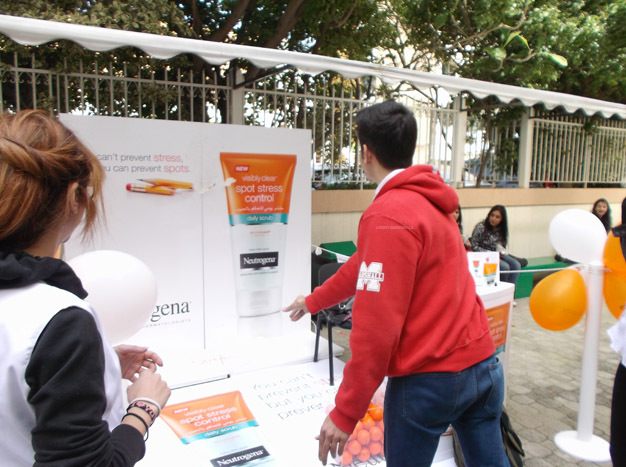 The activity was a fun way for students to engage with the product, as it allowed them to break up with what stresses them, the same way Neutrogena’s daily scrub can help them put an end to spot flare-ups.